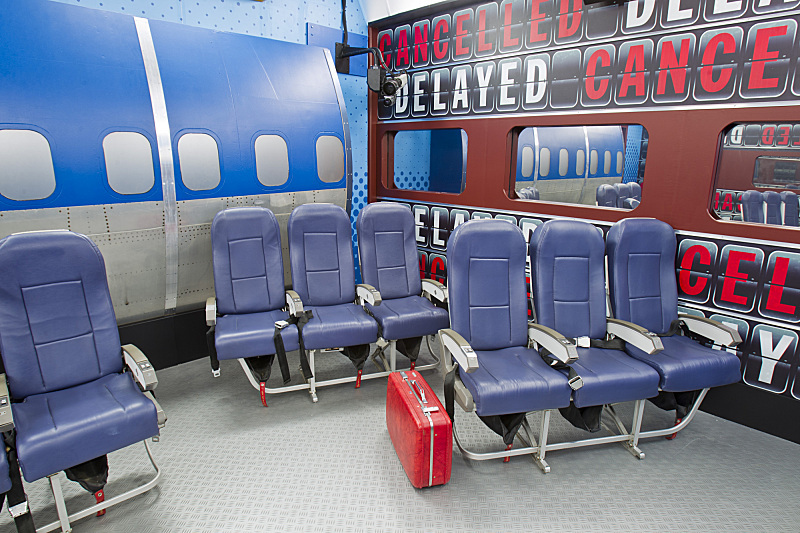 OK, even if I wasn’t currently working for an aviation-themed magazine, I would still think the new “have not” bedroom on Big Brother 15 is freaking ingenious. Yes, we watch Big Brother, like, religiously. It’s one of the only shows that made the cut when Greta was born, and even if we have to stay up way after she’s gone to bed to catch up on some not safe for kids episodes (especially this season, which is already off to a homophobic, racially-charged start!) we’ll do it. For those of you not familiar with the show, randomly selected contestants called houseguests are picked to live in a house where their every move is taped all day for the entire summer. Their only contact with the outside world is with the lovely Julie Chen — who fans affectionately refer to as “The Chenbot” for her alluringly robotic demeanor — who appears on the show once a week for a live elimination episode. Aside from arguing, drinking and running around half-naked in the backyard, each week contestants compete for all sorts of insane food prizes and something called “Head of Household”, which means they get to sleep in a fancy private bedroom upstairs and nominate two houseguests for eviction during their reign. Meanwhile, the rest of the houseguests compete to see which of them will be “haves” and eat normal food for the week, and which will be “have nots” and eat something called slop (which looks like really grey oatmeal) for the week. Another awful thing the “have not” houseguests must endure during their week is a stay in the “have not” bedroom. In past seasons, “have nots” have slept on cots or even the floor, but, this year, the BB producers have outdone themselves with an aviation-themed “have not” bedroom that utilizes actual airplane seats for beds. Ha! 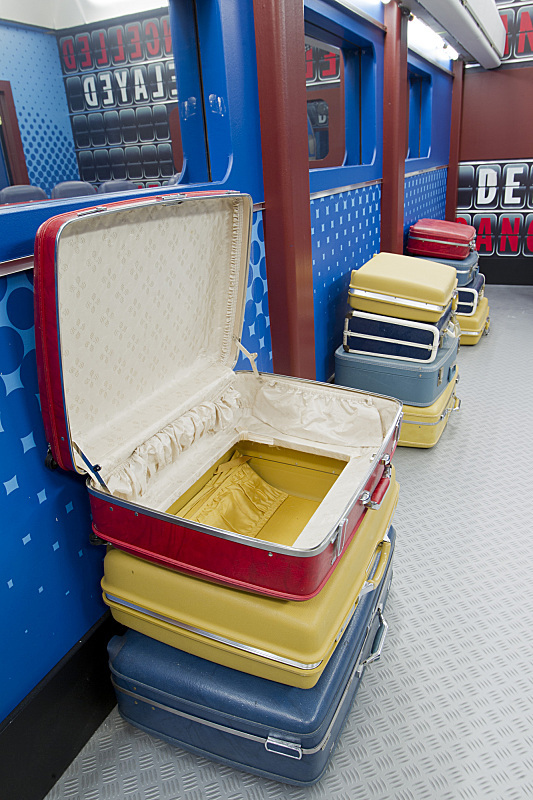 The room also features stacked suitcases in lieu of dressers and airplane-style overhead storage bins for anything else the “have nots” might want to stow during their stay. Hilarious! 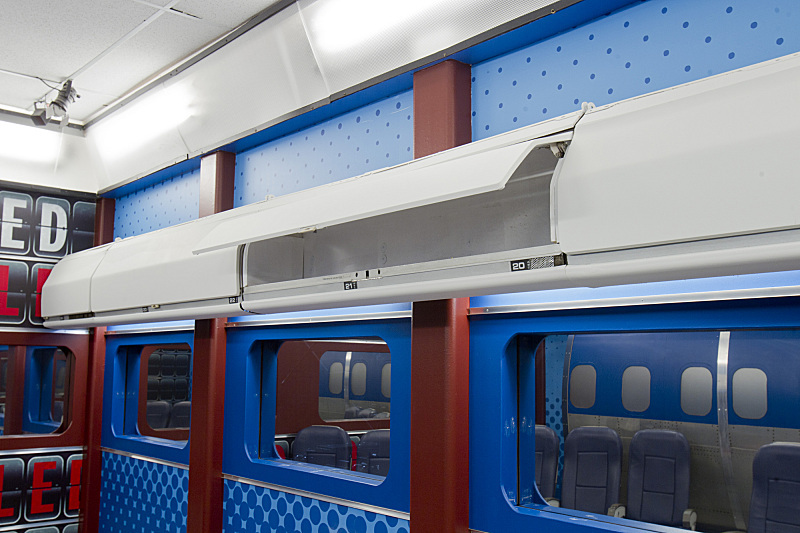 Luckily, it looks like the armrests on the chairs do fold up, so, at least there’s that. But if you’re like me and the concept of sleeping on airplane seats for a couple of hours makes your back hurt. Just imagine how jacked up you’d be after an entire week of fetal position side sleeping. Urgh…I’ll take the floor, thank you.